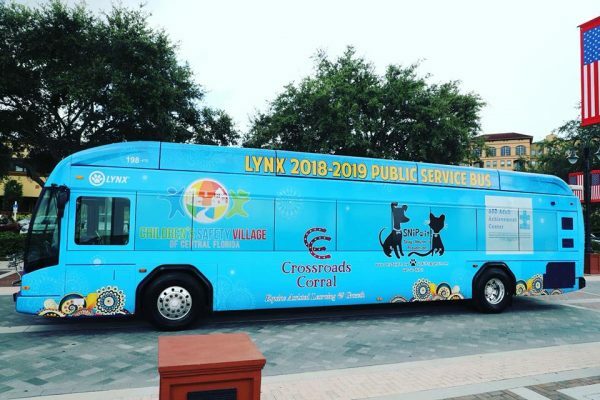 Crossroads Corral Co-founder and Executive Director, Lindsay Brim had an opportunity recently to sit down with Michael Rafferty of 105.9 SunnyFM. Lindsay was able to explain how Equine Assisted Psychotherapy works and our upcoming events! 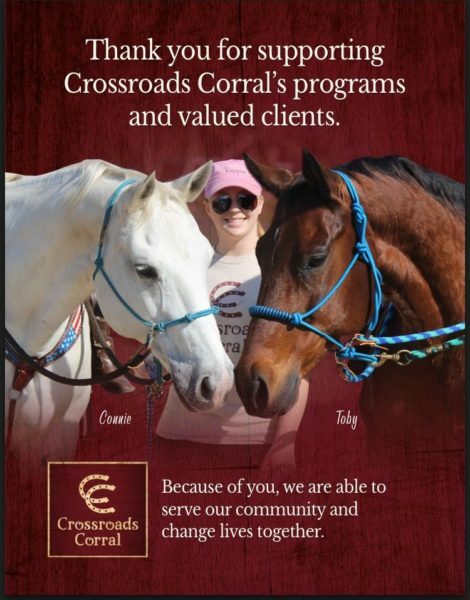 Take a listen to learn even more about the wonderful work at our corral. When people learn that we use horses to help people, their mind immediately goes to riding. I am here to explain why our therapy clients don’t ride in our sessions and the great benefits of working with the horses on the ground for both horses and humans. First I want to talk about basic horsemanship. 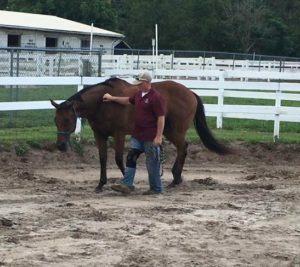 Any good horse person knows that when you purchase or adopt a new horse, the first thing that you should do is ground work. By this, I mean spending time building the relationship with the horse on the ground. This is so important for building trust, learning how to communicate with each other and building a strong bond. This is similar to any human relationship. When humans meet each other, much “ground work” is done prior to advancing the relationship. You don’t ask someone to marry you on the first or second date, right? Well I hope not anyways! 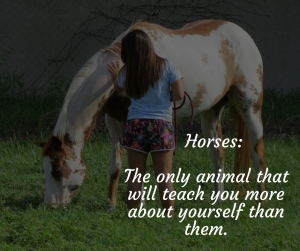 Working with the horses on the ground helps us to learn about ourselves and our behavior patterns as well as build a relationship with another “being”. The horses provide honest, un-bias feedback to our body language, non-verbal communication, and feelings/fears that we don’t even know is there sometimes. 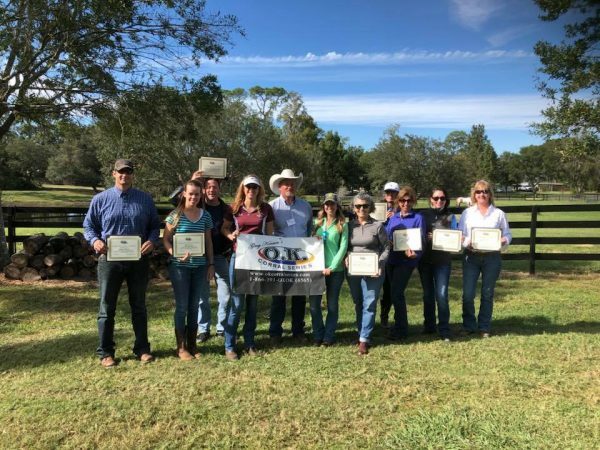 This work of Equine Assisted Psychotherapy (EAP) and Equine Assisted Learning (EAL) is tried and true across the county. We have specific curriculums and activities that we complete to obtain maximum therapeutic benefit and all activities involve working with the horse on the ground. We are NOT a therapeutic riding facility. We chose to focus on mental health vs. serving individuals with physical disabilities. Therapeutic riding is extremely helpful and effective for those with physical disabilities such as Spina Bifida, Cerebral Palsy, etc. 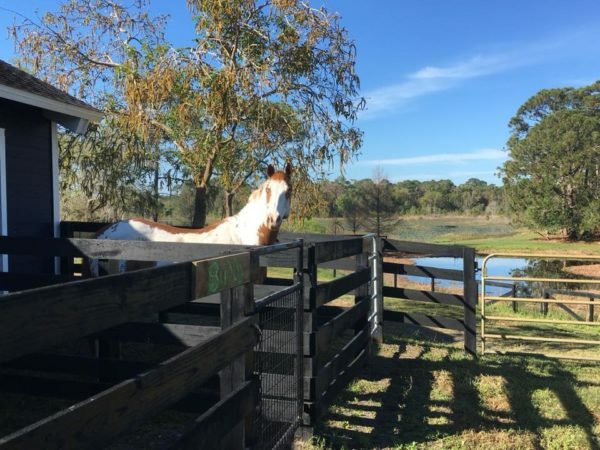 There are many great facilities that focus on therapeutic riding, which is one of the many reasons we decided to specialize in mental health. When we are standing next to a 1200lb animal, it can be intimidating and push us outside of our comfort zone which helps us grow. 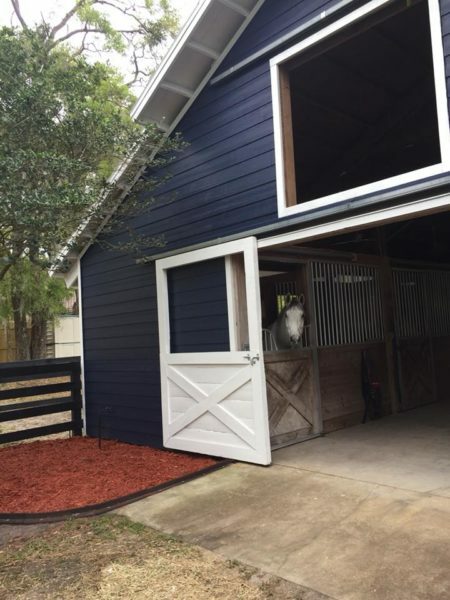 On the flip side, clients feel connected with their horse when they walk side by side and they build confidence. We want our horses to be authentic, honest and true for our mental health work vs doing something they have been “trained” to do. When our clients come to us and they are full of anxiety, the horses often present as anxious as well. This is easy to see and manage from the ground but could be a recipe for disaster in the saddle with an inexperienced rider. When the client sees the horse being anxious, it helps them to realize how they are presenting to the world. They can also learn how to manage their anxiety through the activities with the horse. The age or history of the horse isn’t a factor! Many of our horses are older and they are able to have a wonderful purpose and serve others in our work. We also have horses who have been rescued and suffered their own trauma which can be instrumental in a clients therapy session and their healing. Our horses are able to serve clients who have no interest in riding. We have had clients that said, “I can’t do your program, I was thrown from a horse when I was 12”. When we explain there is no riding involved, they are pleasantly surprised and happy to sign up. This also gives us a chance for our horses to erase any bad horse memories. In conclusion, we are a facility devoted to serving individuals and groups with Equine Assisted Mental Health services and we are not a therapeutic riding facility. 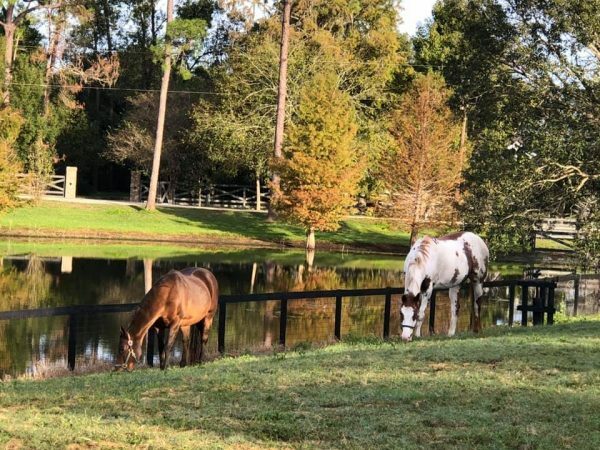 All of our therapy sessions take place on the ground with a Licensed Mental Health Professional and Certified Equine Specialist. There are so many incredible benefits of working with horses on the ground including helping us to become self-aware, heal and grow. 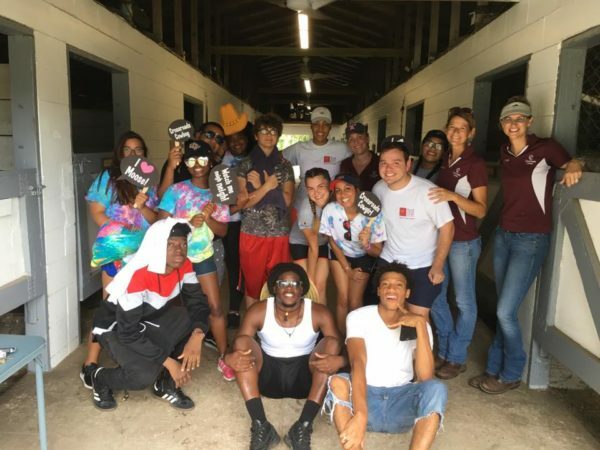 This work is being done across the country and over the last four years, we have seen incredible results in our very own program with our horses who love to do this work! Big News- A New Home For Crossroads! 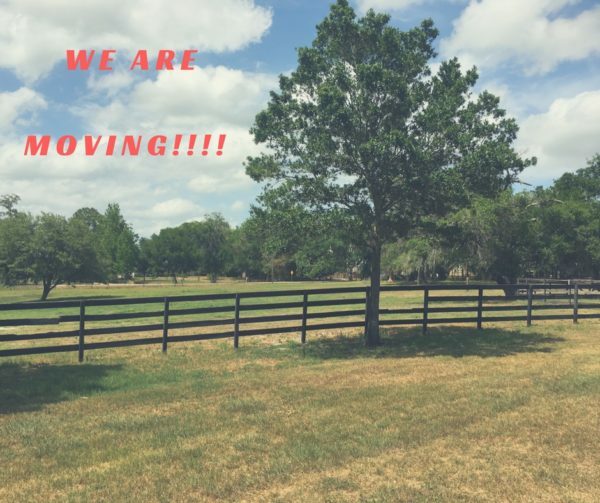 We are so exited to introduce our friends to our new home in the Heathrow/Sanford area! 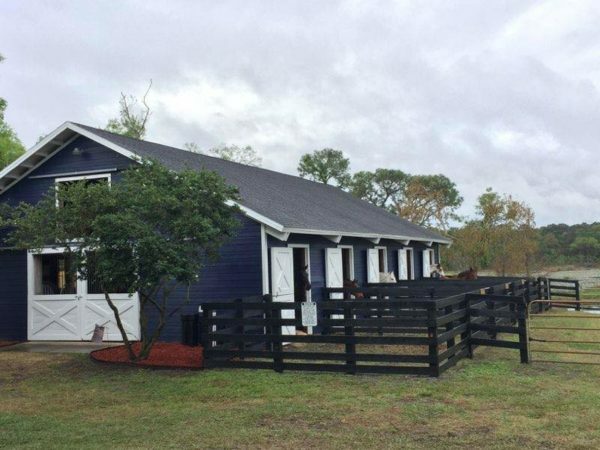 The property is over 5 acres and has water views, an 8 stall barn plus a home for our miniature horses. 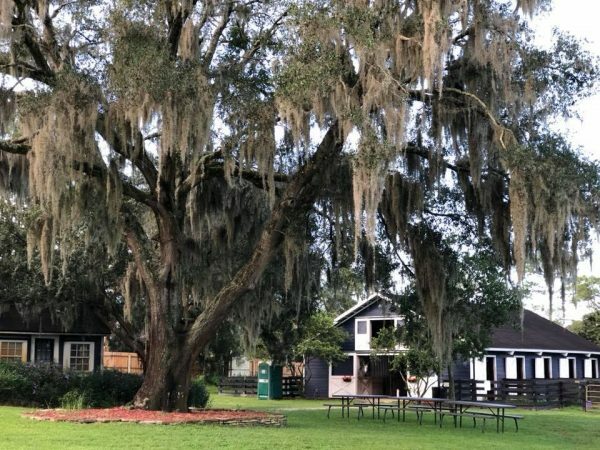 The property is extremely peaceful and beautiful! We have seen many deer and cranes roaming the property and enjoying the peace and quiet! We can’t wait for everyone to see our new home! 2017 has been an exciting and busy year on the farm! We are so thankful to our passionate volunteers, supporters, board of directors, horses, clients and team who make this work possible! 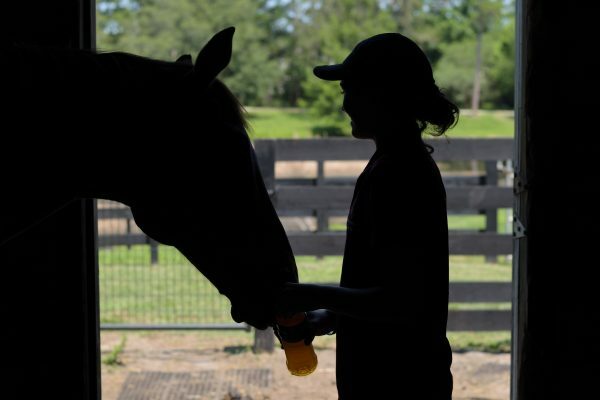 This year we had a large focus on growing our Equine Assisted Psychotherapy Program to serve more clients with exceptional mental health services right on our farm. 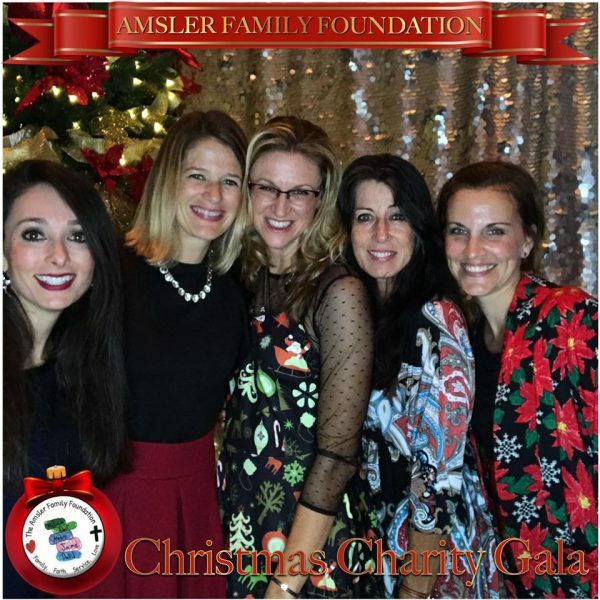 Each of our fundraising events were more successful than the past events, thanks to incredible supporters like YOU! 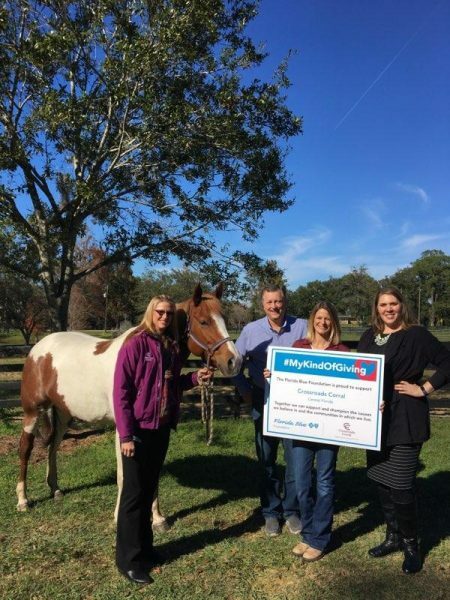 We were able to retain grants from The Florida Blue Foundation, Lawrence E. White Family Foundation and we obtained a new grant for 2017 from Helpful Hands Inc.
With the good comes the bad and we can’t acknowledge this year without mentioning the loss of two incredible therapy horses, our Amaretto “Retta” and Windy Hills Angel Eyes “Angel”. We miss these girls more than words can say! We have some exciting plans for 2018 so please stay tuned! Make sure to like our Facebook page to keep up with our updates and events! See Ya NEXT YEAR! Wishing our friends a blessed 2018! 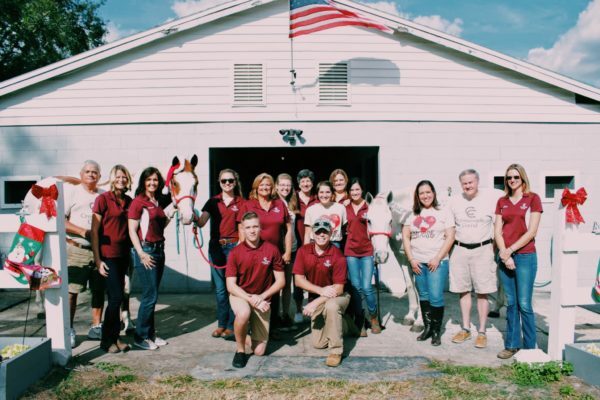 When we began this journey of sharing our horses with the community to change lives, veterans and their families were #1 on our list. Our founders felt inspired to serve those who have returned home from war and are having difficulty re-integrating back to civilian life. The veterans who have children at home, new husbands and wives who have been so anxious for their return, civilian jobs to obtain post military career, school to finish and many, many years of life ahead. As civilians with no experience in the military, we had a lot to learn. We learned about PTSD and became certified to conduct Equine Assisted Psychotherapy and Equine Assisted Learning specifically for that. We had to learn about military ranks, lingo, etc. Most importantly, we had to gain the trust of our clients and their families as we can never understand what they have been through because we have never been in their “combat boots” or in their family home while their loved one is fighting for our country. Professionalism– Our veteran clients typically show up on time (or early) for sessions. They take the therapy seriously and each activity becomes a “mission”. Resilience– We have met so many veterans who have seen and been through more than our civilian brains can understand. Here they are, in front of us, continuing to fight. Fighting to deal with PTSD, fighting to be there for their family. Whether the wounds are visible or invisible, they are working to move forward with life after war. 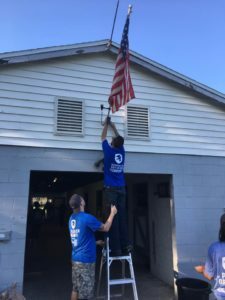 Willingness to help and continue to serve– We have conducted many service projects with veterans in our community and each one has left us with incredibly grateful hearts. 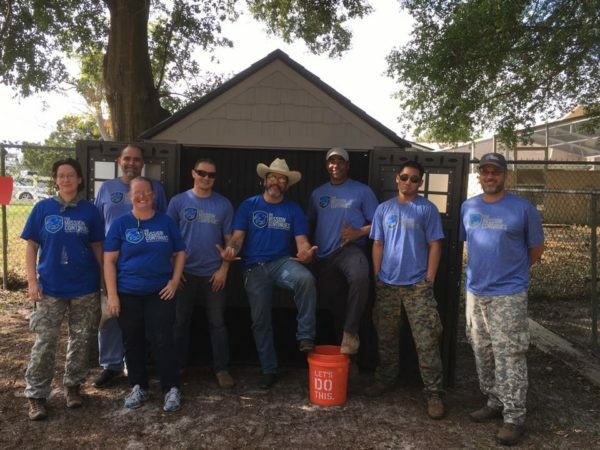 Whether it was a planned event or a last minute Facebook shout out for help (we had a huge last minute hurricane debris clean up party) our veterans and their families show up to lend a helping hand. 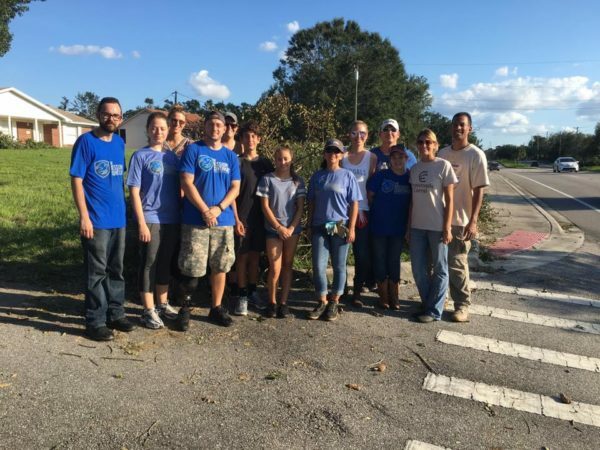 Many groups such as The Mission Continues do incredible volunteer work throughout the country! Bravery– Of course our military members are brave is probably what you are thinking. I agree 100%! However, dealing with PTSD is often un-chartered waters for veterans and their families and battling this and confronting it head on requires great bravery. Willingness to teach others about safety- I feel like our team has gotten some of the best safety training possible from our veteran friends! We have been taught to always look at our surroundings, never text when walking or when you should be paying attention to prevent being a victim, how to “take down” someone who is trying to attack you and so much more! The horses make incredible partners for our veterans to battle their PTSD. During our sessions, the clients conduct specific activities with our horses that help them to self-discover and learn their behavior patterns and coping skills. We are able to help veterans deal with their trauma without having to talk about it or re-live it. In the military, there is “no man or woman left behind”. This is exactly how we feel as an organization, we are here to serve our veterans and their families and we don’t ever want to leave anyone behind. Crossroads Corral would like to thank all veterans for their service. We deeply appreciate all of you and we honor you every day. 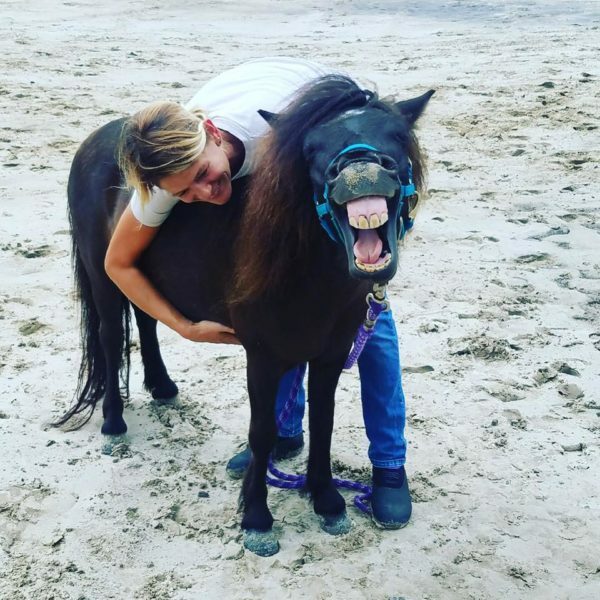 As a clinical psychologist and horse enthusiast that is EAGALA certified, I started a private practice in downtown Chicago focusing on psychotherapy and neurofeedback, while also offering clients Equine Assisted Psychotherapy. Although many of my Chicago clients were interested in EAP, the closest facility was 60 miles outside the city, making it too logistically challenging. 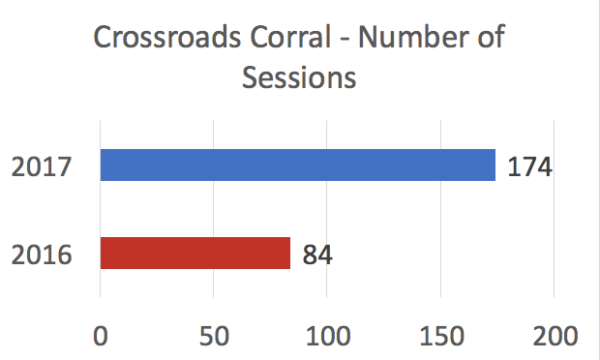 After moving to Central Florida and opening a new practice, which also focuses on neurofeedback and psychotherapy, I have been delighted and thankful to find Crossroads Corral. There are many cases where the in-office experience only takes a client so far, and I appreciate the opportunity to offer EAP as an experiential aspect to mental health. For my clients who have plateaued with the in-office experience and participated in EAP, all have made significant gains after a few sessions. As an example, I’ve worked with a teenage girl for close to a year that suffers from debilitating anxiety, which inhibits her ability to complete schoolwork and even attend school. She has also been working regularly with a family counselor and a psychiatrist for almost two years. Despite her continued treatment, she was barely passing her classes, and her parents could not get her to start her homework. To-date, she has completed five EAP sessions, and her mother reported that she is sitting down every day to complete her homework, and her grades have improved across the board. She told her mother, “Moose (her horse) killed my anxiety.” She has related to the horses and transformed her experiences at Crossroads into positive outcomes in her life. Family work becomes more meaningful and inclusive when working with the horses. 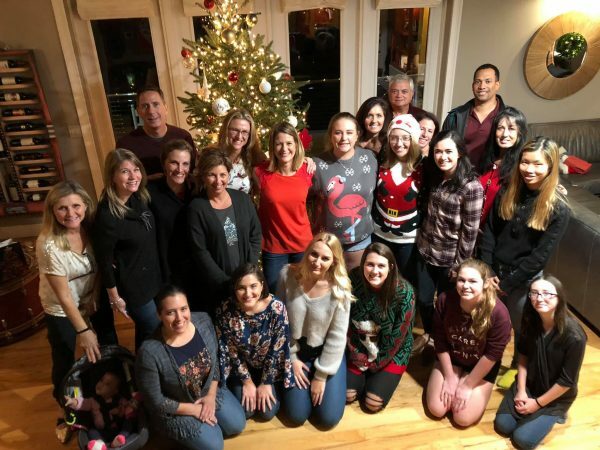 Typically, the biggest issue with family therapy is getting everyone to show up and actively participate in treatment. Gathering your entire family in a therapist’s office is intimidating and can feel threatening. Often times the “he said, she said” battle ensues, which can cause some to shut down and others to lash out, which significantly inhibits progress. Within minutes of an EAP session at Crossroads, family dynamics are apparent, and the therapeutic activities compel each family member to work together to accomplish a cooperative task. To date, I have received nothing but positive feedback about the EAP experience and am excited to offer such a unique and powerful tool to my clients.